Take two young lovers. Shake it up! Get them to look back at their love story forty years later. Then, knock together their past and present selves. 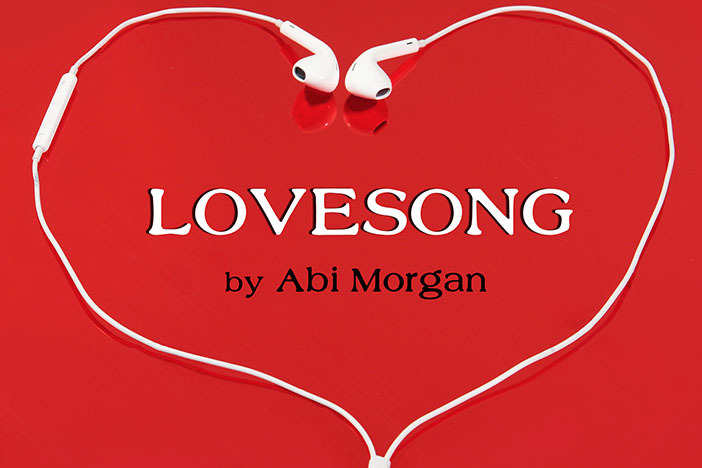 This forms the core of ‘Lovesong’ – an ingenious play by Abi Morgan (‘The Split’, ‘Iron Lady’, ‘The Hour’), which comes to Brighton in July. We caught up with Kirsty Elmer, who is directing the play at the New Venture Theatre (NVT), to find out what to expect. Kirsty is a Brighton-based director and performer with a reputation for striking contemporary drama. We previously previewed her exceptional ‘Love And Information‘. So, what attracted her to directing ‘Lovesong’? What’s different about the version we’ll see at the NVT? Interpretations of the play have often taken their lead from the early performances devised by Frantic Assembly. However, Kirsty has innovated on this for the Brighton production and also added some transitional sequences. We asked her what had been the biggest challenges in directing ‘Loveong’? “The delicacy of it. And the balance – trying to not overdo it.” So for Kirsty, “doing justice to the play is quite important.” There’s a ‘naturalistic dialogue’ across the different time zones evoked during the play. Anyone who’s seen Kirsty’s previous productions will know that she pays meticulous attention to the sets, which she designs herself. This show is no exception. We won’t spoil the surprise. The play will appeal to all ages from teenagers upwards (although it’s not suitable for younger children due to strong language). We’re looking forward to seeing this very modern production at the NVT, which this year celebrated its own love story with a 70th anniversary in Brighton.